As part of the 80th anniversary celebrations of the Faculty of Economics and Business of the University of Chile, the Faculty is hosting an International Conference on the Economic and Business History of Latin America to be held on December 12th, 2014 in its premises in Santiago, Chile. The conference invites contributions in English or Spanish in all areas associated to the themes of the conference. A selection of the participating papers will be invited to be published in a special issue of the journal Estudios de Economía (indexed in Thomson ISI- JCR), with Professor Bernardo Bátiz-Lazo (Bangor University) as guest editor. The conference is organized with the sponsorship of Universidad de Santiago de Chile. The conference is also organizing a posters session open to undergraduate and postgraduate students undertaking their thesis in any field relevant to the conference. The best posters will be awarded a prize. The deadline for submitting contributions and posters is October 19th, 2014. An extended abstract of up to 1000 words explaining the research question, the data and methods employed and the main results and conclusions should be sent to ebhla2014@fen.uchile.cl. The deadline for sending the complete versions of the papers is December 1st, and the deadline for submitting the final, revised versions of the papers to be published in Estudios de Economía is January 18th, 2015. The special issue will be published in May 2015. 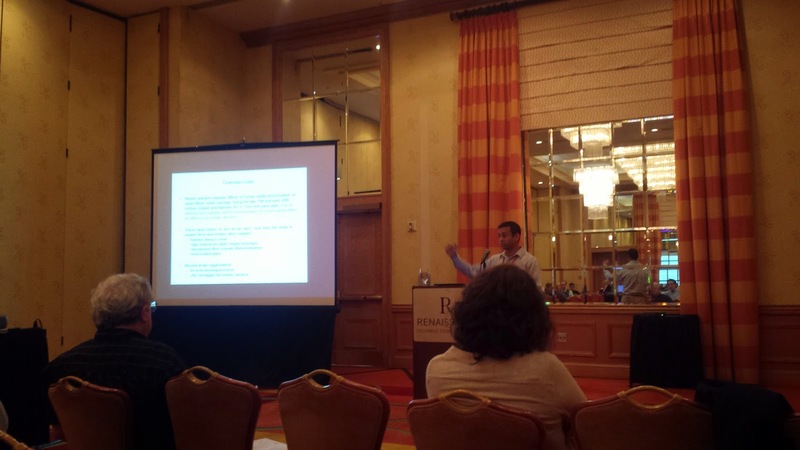 Report from the Economic History Society in Columbus, Ohio, September 12-14, 2014. 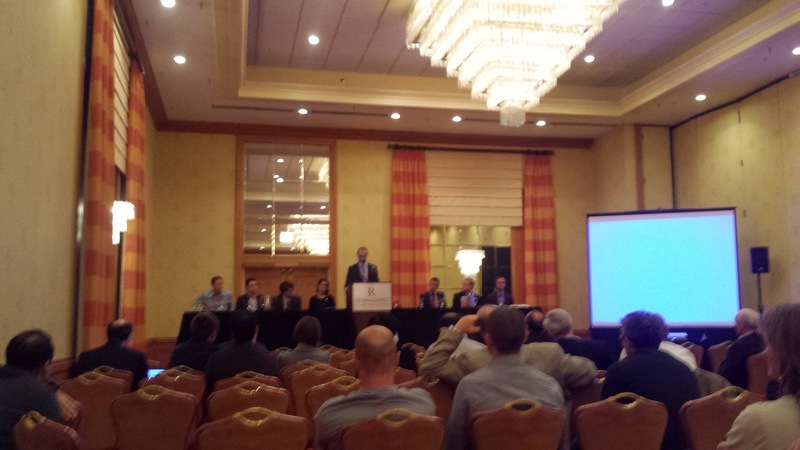 This year’s Economic History Association meeting took place in Columbus, Ohio. It followed the usual format of short presentations, and designated discussants on each paper, as well as poster displays from graduate students. There were many excellent presentations, including some from European scholars or on European topics. Of particular interest to EHES members might be the session on Political Economy in Europe, with papers presented by Noel Johnsson at George Mason University, Rui Esteves at Oxford, and Mark Dincecco at Michigan, and one on trade with Michael Huberman from Montréal, Alan de Bromhead from Queen’s Belfast, and Jules Hugot from CEPII. I particularly enjoyed Alan’s talk on the effect of the granting of female suffrage in the UK on the movement towards protectionism, which generated a lively debate. After an entertaining introduction, the Presidential Address was by Philip Hoffman, who argued against the traditional definition of the national state as laid down years ago by Max Weber. He demonstrated that many entities which we would certainly consider states did not enjoy a ‘monopoly of violence’. The Gerschenkron Prize for the best PhD dissertation on topics other than American economic history was won by Tyler Beck Goodspeed on ‘Essays in British Financial History’. He received his PhD from Harvard, so no luck for the Europeans this year. He is however currently at Oxford, so we can be optimistic that European universities continue to attract many of the best economic historians – even from the United States. Otherwise, the Friday night reception at the Ohio Statehouse was a great chance to visit this impressive building. The Saturday night dinner was, on the other hand, in the view of your correspondant, something of a let down! 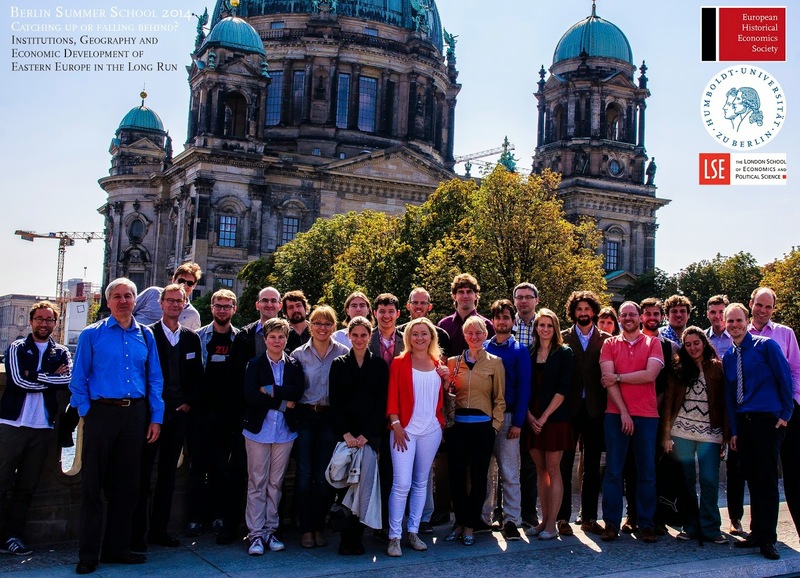 We look back on a summer school, hosted by the EHES, Humboldt-Universität and the London School of Economics and Political Science. Centered on the theme “Catching up or falling behind? Institutions, Geography and Economic Development of Eastern Europe in the Long Run”, the Summer School brought together experienced and young researchers working on Eastern European economic history in an engaging and informal atmosphere. The event, which took place from September 1st to 5th, put the factors that have shaped development of the eastern half of the continent in the context of the recent debates in our discipline, such as the Little Divergence, institutional persistence and the role of geography. Berlin) focused on the role of market access and agglomeration effects in explaining the lag between western and eastern European regions. Steven Nafziger (Williams College, MA) and Sevket Pamuk (Boğaziçi, Istanbul) provided valuable insights into the interaction between state formation, institutional reform and economic outcomes. Sibylle Lehmann-Hasemeyer (Hohenheim) took the chance to offer an encompassing account of the political economy of growth and protectionism in the late 19th century. Additionally, the Summer School featured daily seminars aimed at bridging the gap between theoretical insights and hands-on empirical analysis. Speakers Tamas Vonyo (LSE, London), Alexander Klein (Kent) and Matthias Morys (York) allowed the participants an in-depth view of the nuts-and-bolts aspects of empirical research. Particular emphasis was placed on the methodological issues surrounding growth accounting, the treatment of endogeneity, and exchange rate dynamics. Finally, afternoon workshops gave doctoral students a chance to present their newest research related to Eastern Europe. This included talks by Bálint Menyhért, Hana Nielsen, Ilya Voskoboynikov, Jelena Raifalovic and Leo Kukic on the long run drivers of development, Flóra Macher, Thilo Albers, Marvin Suesse and Stefan Nikolic on financial crises and geography, Elena Korchmina, Alexander Opitz, Ekaterina Khautsova and Valentyna Shevchenko on institutions and economic development in Imperial Russia, Mikolaj Malinowski, Pinar Ceylan, Piotr Łozowski, and David Dolejší on early modern markets and cities, as well as Rita Pető, Máté Rigó, Ruth Schueler and Paweł Bukowski on the economic role of culture, education and social status. We are very proud of having hosted such an event that provided stimulating intellectual inspiration for so many promising young talents. Many students took the chance to build networks and present their ideas to academic peers stemming from different disciplinary and cultural backgrounds. The impressive variety of innovative ideas presented during the week gives us a very positive outlook on the future of the field. 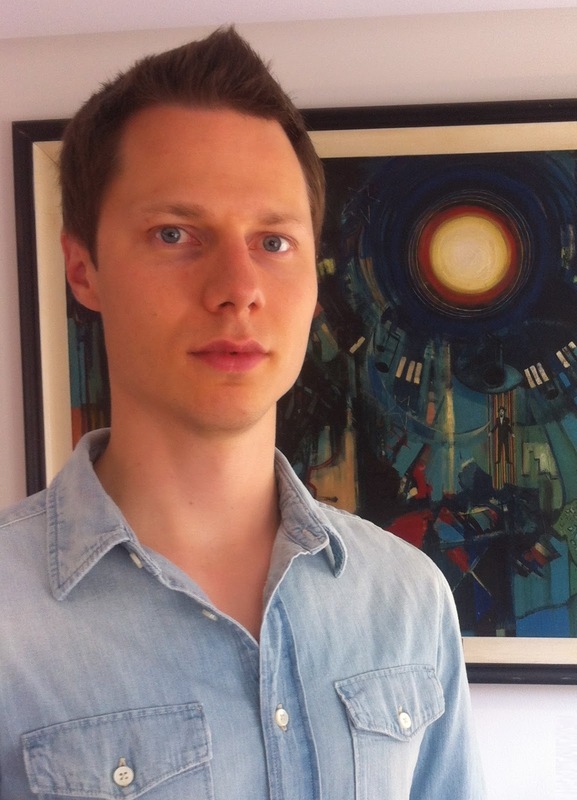 Thilo R. Huning, PhD student at Humboldt-Universität in Berlin. 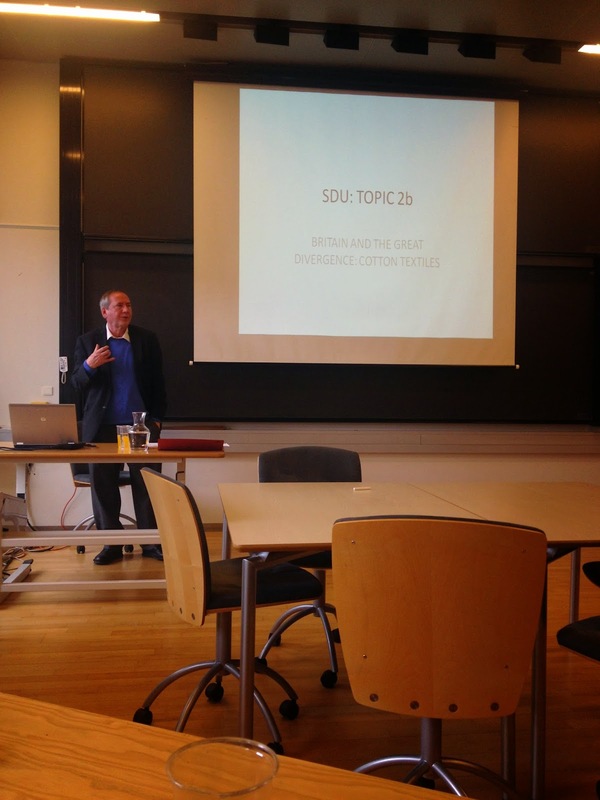 The Department of Business and Economics at the University of Southern Denmark marked the start of the new academic year with a PhD course given by their Guest Professor Stephen Broadberry. The course, titled The British Economy in Global Perspective, 1000-2000, efficiently covered a millennium of British economic history in just three days. Drawing upon his work with various co-authors, Professor Broadberry began day 1 with a discussion of the course of British economic growth between 1270 and 1870, before placing the numbers in an international context in the afternoon’s session. Days 2 and 3 were less about Britain’s golden years and more about her relative decline from around 1870. The course was well attended by staff and students from across Scandinavia. It was the latest in a series of exciting courses offered by the university, with Nick Crafts having offered a three-day course in October 2013. Last April it was made public that Nigeria’s GDP figures for 2013 had been revised upwards by 89 per cent, as the base year for its calculation was brought forward from 1990 to 2010 (Financial Times April 7, 2014). As a result, Nigeria became the largest economy in Sub Saharan Africa. Though spectacular, this is not an exceptional case. Ghana (2010), Argentina’s (1993) or Italy’s (1987) also experienced dramatic upward revisions of their GDP. How should this revision affect GDP time series and, consequently, the country’s relative position? Should the existing historical series be re-scaled in the same proportion? Official national accounts are usually available from mid-twentieth century onwards, but often only for the latest decades. Furthermore, official national accounts are only constructed in a homogeneous way for short periods. Hence, the output of national accounts needs to be spliced with historical national accounts. Thus, when a homogeneous long-run GDP series is required, various sets of national accounts using different benchmark years and often constructed with dissimilar methodologies need to be spliced. The alternative choice of splicing procedures to derive a single GDP series may result in substantial differences in levels and growth rates and, hence, in significant biases in the assessment of economic performance over time. National accounts rely on complete information on quantities and prices in order to compute GDP for a single benchmark year, which is, then, extrapolated forward on the basis of limited information for a sample of goods and services. To allow for changes in relative prices and, thus, to avoid that forward projections of the current benchmark become non representative, national accountants periodically replace the current benchmark with a new and closer GDP benchmark. The new benchmark is constructed, in part, with different sources and computation methods. Often far from negligible differences in the new benchmark year between ‘new’ and ‘old’ national accounts stem from statistical (sources and estimation procedures) and conceptual (definitions and classifications) bases. Once a new benchmark has been introduced, newly available statistical evidence would not be taken on board to avoid a discontinuity in the existing series. Thus, the coverage of new economic activities partly explains the discrepancy between the new and old series. As a result, a problem of consistency between the new and old national account series emerges. Is there a solution to this inconsistency problem? The obvious option would be computing GDP for the years covered by the old benchmark with the same sources and procedures employed in the construction of the new benchmark. However, this option is beyond the resources of an independent researcher. The challenge is, then, establishing the extent to which conceptual and technical innovations in the new benchmark series hint at a measurement error in the old benchmark series. In particular, whether the discrepancy in the overlapping year between the new benchmark (in which GDP is estimated with ‘complete’ information) and the old benchmark series (in which reduced information on quantities and prices is used to project forward the ‘complete’ information estimate from its initial year) results from a measurement error in the old benchmark’s initial year estimate. A simple solution, widely used by national accountants (and implicitly accepted in international comparisons), is the backward projection, or retropolation, approach, that accepts the reference level provided by the most recent benchmark estimate (YT) and re-scales the earlier benchmark series (Xt) with the ratio between the new and the old series for the year (T) at which the two series overlap (YT/XT). Underlying this procedure is the implicit assumption of an error level in the old benchmark’s series whose relative size is constant over time. In other words, no error is assumed to exist in the old series’ rates of variation that are, hence, retained in the spliced series YRt . Official national accountants have favoured this procedure of linking national accounts series on the grounds that it preserves the earlier benchmark’s rates of variation. Usually the most recent benchmark provides a higher GDP level for the overlapping year, as its coverage of economic activities is wider. Thus, the backwards projection of the new benchmark GDP level with the available growth rates -computed at the previous benchmark’s relative prices- implies a systematic upwards revision of GDP levels for earlier years. This one-sided upward revision effect on the levels of spliced GDP series is hardly noticeable when discrepancies between the new and old benchmarks are small for the overlapping year and the considered time span is short. However, as the time horizon expands and earlier series are re-scaled once and again to match newer ones, the gap tends to deepen significantly. An alternative to the backward projection linkage is provided by the interpolation procedure that accepts the levels computed directly for each benchmark-year as the best possible estimates, on the grounds that they have been obtained with ‘complete’ information on quantities and prices, and distributes the gap or difference between the ‘new ‘and ‘old’ benchmark series in the overlapping year T at a growing rate. Contrary to the retropolation approach, the interpolation procedure assumes that the error is generated between the years 0 and T. Consequently, it modifies the annual rate of variation between benchmarks (usually upwards) while keeps unaltered the initial level –that of the old benchmark-. As a result, the initial level will be probably lower than the one derived from the retropolation approach. The choice of linkage procedure makes a significant difference for GDP levels and growth rates. When the levels for earlier years are re-scaled upwards with the retropolation procedure, the country in question becomes retrospectively richer. Alternatively, interpolating each original benchmark tends to raise the economy’s rate of growth and, hence, casts a lower initial GDP level. Which method is preferable? A practical answer may be derived from the analysis of Spain’s experience, a country that went through a process of deep structural change during the second half of the twentieth century. The figure below presents the GDP levels resulting from splicing national accounts through non-linear interpolation relative to the levels derived through extrapolation. It can be noticed how the over-exaggeration of GDP levels cumulates over time when the extrapolation method is used. 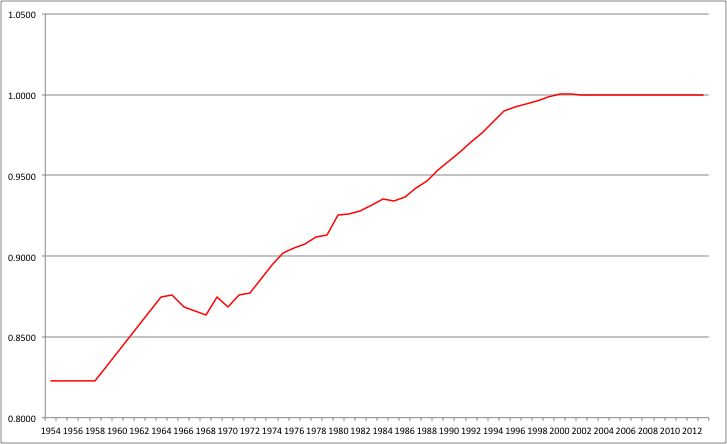 Ratio of spliced interpolated series to retropolated series, 1954-2013 (GDP at current prices). Differences between the results of the interpolation and retropolation procedures appear much more dramatic when placed in a long run perspective, that is, when the spliced national accounts are projected backwards into the nineteenth century with volume indices taken from historical accounts series. This is due to the fact that most countries grew at a slower pace before 1950, so its per capita GDP level by mid-twentieth century determines its earlier relative position in country rankings. Thus, the choice of splicing procedure can result in far from negligible differences in the relative position of a country in terms of per capita income over the long run. As an illustration I present Spain’s relative position to France derived with retropolation and interpolation splicing methods below. According to the retropolation splicing procedure, by mid-nineteenth century, real per capita GDP in Spain would have been similar, if not superior, to that of France. If, alternatively, the relative position that results for Spain from the interpolation splicing procedure represents about 80 percent of the French. 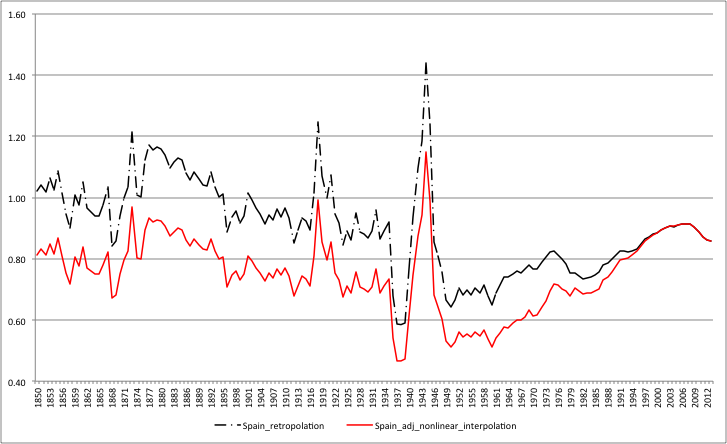 When the period 1850-1913 is considered, Spain would match France’s real income per head, according to the retropolated series, and reach only four-fifths if the interpolated series are employed. These proportions hardly alter if the period under comparison is extended to 1935. It can be conclude that whatever the measurement error embodied in the interpolation procedure may be, its results appear far more plausible than those resulting from the conventional retropolation approach. The bottom line is that splicing national accounts must be handled with extreme care, especially when countries have experienced intense growth and deep structural change, as there is a risk to bias their income levels upwards and, consequently, their growth rates downwards. A systematic revision of national accounts splicing in fast growing countries over the last half a century using the interpolation approach would most probably reduce their initial per capita GDP levels while rise their growth with the result of a more intense and widespread catching up to the Core countries. de la Fuente Moreno, A. (2014), “A Mixed Splicing Procedure for Economic Time Series”, Estadística Española 56 (183): 107-121. Maddison, A. (1991b), “A Revised Estimate of Italian Economic Growth 1861-1989”, Banca Nazionale del Lavoro Quarterly Review 177: 225-241. Prados de la Escosura, L. (2014), Mismeasuring Long Run Growth. The Bias from Spliced National Accounts, EHES Working Paper 60. Climate change is regarded by many as the greatest environmental challenge faced by present and future generations. 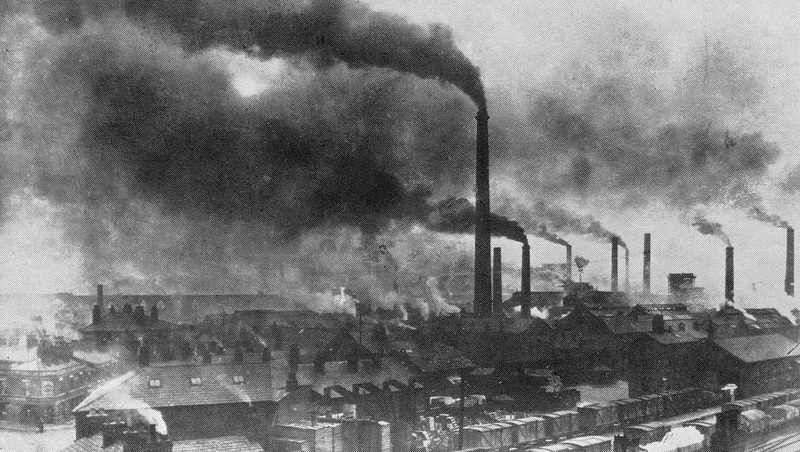 While public awareness and climate policy are recent developments, mankind’s activity has been contributing to the rise in CO2 emissions for more than two centuries. New research by Sofia Teives Henriques and Karol J. Borowiecki investigates the drivers of changes in fossil-fuel CO2 emissions in a long-term and global perspective. The unprecedented prosperity brought about by industrialization is strongly linked with wide-range changes in global patterns of energy consumption. These shifts have led to a significant rise in the level of carbon dioxide in the Earth’s atmosphere, which is currently 40% above its long-term pre-industrial average. This article explores the drivers behind long-run CO2 emissions across twelve presently developed economies, by decomposing changes in carbon emissions into population, income, technological and energy mix changes. 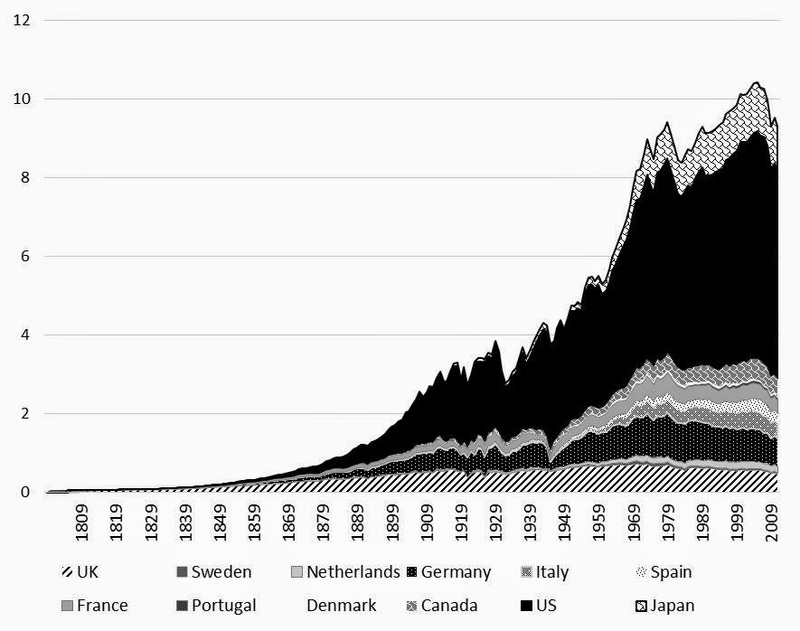 By building on nine European countries, the United States, Canada and Japan, which were responsible for more than three quarters of worldwide CO2 emissions until 1950 and more than half until the 1980s, the authors are able to shed light on the drivers of historical carbon emissions in a global context. The results indicate that at low levels of income per capita, fuel switching from biomass to fossil fuels is the main contributing factor to CO2 emission growth. Population and especially income effects become the most important emission drivers at higher levels of income and also dominate the overall long-run change. 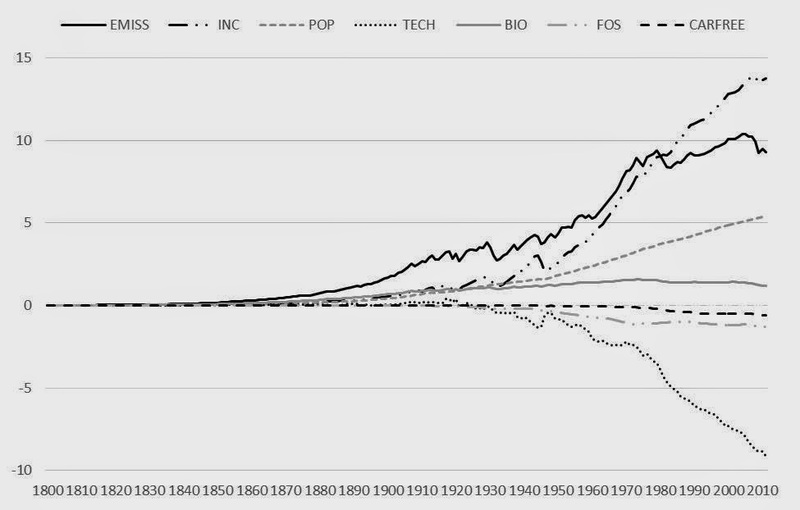 Technological change is the main offsetting factor. Particularly in the last decades, technological change and fuel switching have become important contributors to the decrease in emissions in Europe. The results presented by Sofia and Karol indicate that the combined contribution of changes in energy intensity and fuel switching to the decline in CO2 emissions was weaker in the more recent period 1990-2011 than in 1973-1990. Nevertheless, Europe fared better in this regard than non-European countries, possibly thanks to stronger political commitment. This supports the view that in order to limit further emissions, a much more comprehensive global energy policy is needed.